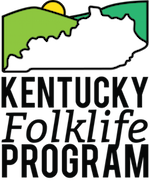 KFP is making the trip to nearby Horse Cave, Kentucky, for their annual fall festival tomorrow, September 19. Dr. Tim Evans’ graduate-level public folklore class will work with us to facilitate six narrative stages and document the festival. Visit the Horse Cave Heritage Festival website for a schedule of events, and stay tuned for students’ photos and videos. Hope you can join us!